Modern veterinary practices need to reach their clients where they are. Which to be clear is- Online. 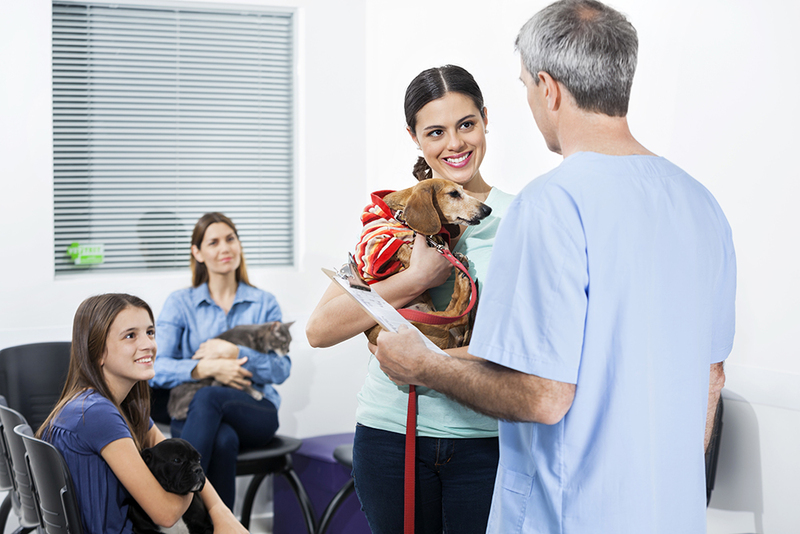 There is, undeniably, a lot of competition for veterinary services. 110,531. That is the number of veterinary practitioners in America. Of that number 71,393 are in private practice. So how do you stand out from the pack? I’ve compiled a list of veterinary marketing ideas that are proven digital marketing strategies that will benefit your practice. No single marketing channel reaches as many potential customers today as the Internet. To compete effectively in a crowded marketplace, I’m here to share with you some veterinary marketing ideas that will help your practice speak to more potential clients with pets in need of your services. Local Veterinary SEO is marketing aimed at ensuring that your veterinary practice comes up as one of the first results of a search engine query by potential clients seeking such services in your local geographical area. 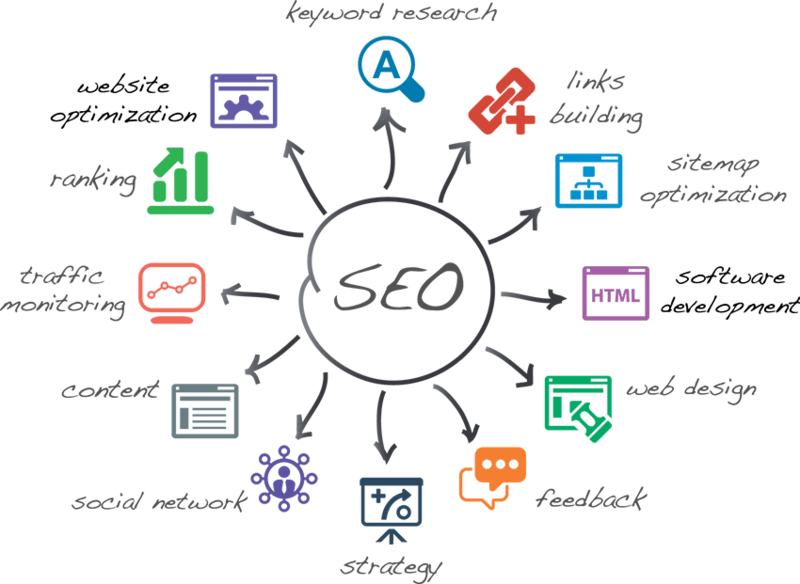 In a nutshell SEO is a digital marketing strategy that focuses on making sure your practice is as close to the #1 spot in Google as you can get. Out of all the searches on Google for services users require 46% of them are local. What this means for your veterinary practice is that when almost half the total number of people who look up veterinary services in your locality hit search, you lose potential business. And seriously, more importantly, you’re missing the opportunity to help more families and their pets. If 72% of the people who search for a local veterinarian business in their area will visit one within five miles of their home, you can’t afford to ignore local SEO. Imagine this- search engines, like Google- they don’t have a product per say. The reality is your website (and every other website) is their product. It’s their prerogative to deliver the most personalized and timely results to users. That means show the user who searched for “veterinarian near me” your website. If your veterinary business can leverage that objective (which is to tell Google (SEO) that your site is relevant locally and to what specific keywords), it can continuously be visible to many potential clients and their pets ready to schedule an appointment. The flip side to that is, if your site can’t meet those objectives… well, you’ve heard the joke about the 2nd page of Google right? (the saying goes… ‘they say it’s probably the best place to hide a dead body’)… because seriously- when was the last time you went to the second page of Google when looking for a respectable local business? Is your contact information easily found on every webpage? Are all of the images on your website must be optimized for web? Are new users able to easily find information about your services? Does your website meet the basic American Disabilities Act (ADA) requirements? These items are the bare minimum that your practice should be concerned about when wondering if your veterinary practice’s SEO is up-to-snuff. 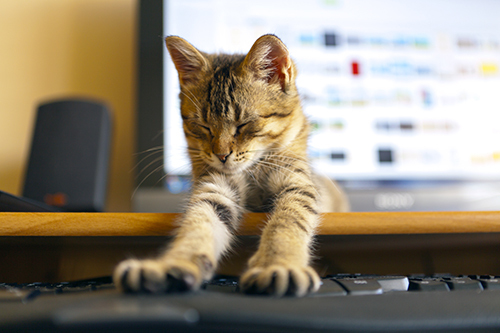 Veterinary Practice SEO, when done correctly, will keep driving pet owners through your doors. Online Reputation Management (ORM) is the part of marketing that deals with tending to a businesses’ online image (reputation) to promote its products or services. In the digital-first world, your veterinary practice needs to keep track of all the reviews customers put up online about it. 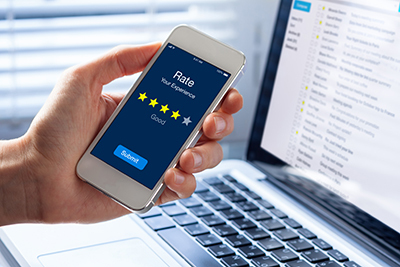 In case of any unfavorable reviews, ORM not only helps you identify when and where they were posted, but it also enables you to reach to the particular client to help resolve the issue. ORM can also help your veterinary practice grow its image online and attract new clients through requesting past clients to put up reviews. Research indicates that seven out of 10 clients will leave a review if you were only to ask them. Additionally, 85% of consumers will put as much faith in online reviews as they would personal recommendations. Your veterinary business, therefore, has a potent tool via such testimonials to not only boost its image and trustworthiness online but also improve its local SEO in the process. Given our ever-increasing online culture, practices who don’t focus on their practice’s online reputation are literally leaving money on the table. The thing is though, with veterinary practice’s that equates to not reaching as many pets in need as you can. Think back to the last time you were searching for a local business- was it a plumber? Or maybe it was to decide about a restaurant a patient’s owner told you about. Either way I bet you Googled it. (I’ll leave the part where a search engine is such a part of our culture that we turned it into a verb.) Once you Googled (ha) it the first thing you notice is what it’s reviews/ratings are. Whether we like it or not we live in a peer-to-peer reviewed world. Without tending to that garden- your reputation could be in the gutter and you don’t even know it. There are 2.23 billion monthly active Facebook users across the globe with 214 million of those in the United States. 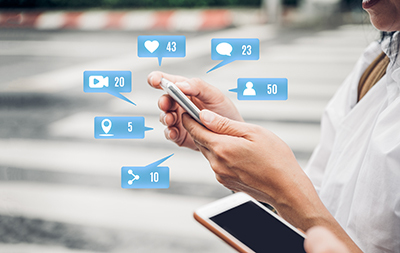 Without a doubt, these figures depict Facebook as the most extensive social media network with the most potential for social media marketing for any business looking to grow its client reach through this channel. Facebook Ads are the best medium to use when considering an advertising campaign on the platform. The trick to making these ads work for you is to know the best way to use them. A common misconception is that when thinking of Facebook advertising, you should focus on urging your target audience to buy now. When people get on Facebook, their primary goal is not to scour products or services. The aim of logging on to the network is to connect with friends and family. Once you understand that this is how your target audience will seek to use the platform, you need to shape your campaign accordingly. Since the target audience on Facebook was not searching for your product when they logged on, if you immediately load them with a problematic value proposition, i.e., buying your veterinary services immediately, you will witness abysmal conversion rates. The best approach to use with Facebook ads to maximize your marketing return on investment (ROI) is to use them to generate interest in your services. Let your value proposition consist of either asking the target audience for their email address, signing up for your newsletter or filling a short lead form. Such a request comes across as a less demanding one to someone who logged onto the network for other unrelated, social matters. That makes it easy for them to comply. Once you convert them on the soft sell, you can then pursue converting them on a hard sell of your veterinary services. Users on the network who sign up for your newsletter, lead form or provide an email address signal their interest in your service offering. At this stage, you have managed to draw their attention and you should be able to see increased conversion rates on the hard sell. Such a strategy delivers an overall effective marketing ROI. It is also worth noting that Facebook Ads are more successful where the lifetime value of a customer is spread over a period. As a veterinary service provider, your business model fits into this category via the service subscription feature. Instead of asking potential clients to make a massive purchase at once, you let them make smaller purchases each time they hire your services. Such a business model will excel in using Facebook Ads as it spreads the ask behind its value proposition over a period. For veterinary practice’s this really fits nicely into the business model that is very concerned with the health of the pet over its entire life. Note that the first four are considered the core tags that will differentiate your campaign and deliver it to the right users to spark interest in your services. Retargeting Facebook Ads are really where SEO & Paid Ads can really work hand in hand and allow the practice to enjoy lower paid marketing costs per click than into cold traffic markets. Bottom line- we know it sounds technical (and honsetly it is) but we know how to get your practice the best bang for its advertising dollar in a way that reaches as many potential clients and patients throughout the patients lifetime as possible. In today’s marketplace, several veterinary marketing ideas combine to deliver a steady flow of clients and boost your revenue. Combine qualified leads from the world’s largest social media site with those generated from local search engine queries to fill the top of your sales funnel. Take advantage of ORM to impress future clients with the quality of services you delivered to past ones thereby creating a virtuous sales cycle that keeps your business growing. Contact us today to learn about how Dapper veterinary marketing can help you grow your business today. Contact Us today and you’ll be on your way to a more profitable veterinary practice.